Who lived with their parents Odette and Pierre. And little Cecile, we must not forget! 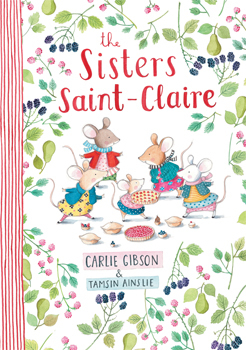 A delightful rhyming tale about five fabulous French mice who love food, fashion and family, and a story about how greatness can come in any size. Tamsin Ainslie was born and educated in the UK and lives in Murwillumbah with her daughters Olympia and Matilda. Tamsin started drawing at an early age, making books and keeping illustrated journals. She works from her home-based studio spending most of her time illustrating children's books, designing book covers, drawing, painting and printmaking.